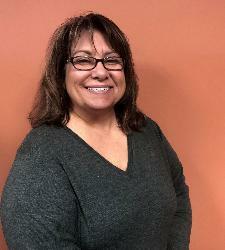 NYSID’s Complete Guide to the Compliance Review and QER Process - Rochester - Event - New York State Industries for the Disabled, Inc.
Sharon Segura, NYSID’s Senior Compliance Specialist, joined the NYSID team in 2005, bringing more than 10 years of experience in the compliance field. Her experience includes implementing and maintaining certification of ISO9000 and TL9000 Quality Management Systems, leading teams and work groups in developing procedures and policies relevant to ISO9000, staff training and implementation of appropriate corrective action plans. Additionally, Sharon is certified through the American Society for Quality (ASQ) as a Quality Auditor receiving certification in 2001. She is an active senior member of ASQ who continuously participates in the knowledge network that is provided by the society and attends local ASQ professional development meetings. Key staff involved in the completion or generation of NYSID’s Quarterly Employment Reports (QER), payroll staff, and those responsible for obtaining and managing disability documentation. NYSID’s Quarterly Employment Reports and Compliance Reviews are used to substantiate the value of the Preferred Source Program from the standpoint of work provided, economic impact and the number of lives touched. This session will review program expectations, the importance of maintaining program related documents and how to organize documents to support the processes.